Michelle joined Cornerstone Capital Advisors in November 2017 as a member of our Portfolio Administration team. She works closely with our Advisor and Analyst teams to serve our Personal Advisory Services clients in all aspects of account administration. She also assists the Fiduciary Services team with scheduling client meetings, integrating new clients, maintaining client data, and preparing reports. Michelle has been in the financial services industry since 1999, and previously worked with individual clients at Charles Schwab in Maryland and Raymond James in Florida. 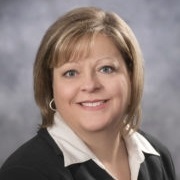 She also has experience with Qualified Plan administration, and has assisted plan sponsors, recordkeepers, and custodians with annual plan testing and IRS reporting, plan provisions, and plan terminations. Michelle also serviced plan participants with distribution and loan processing requests as well as their questions regarding contribution limits, investment balances, and IRS regulations. Michelle is originally from Akron, Ohio and currently resides in Tallmadge with her husband, Brian and a son, Chase.